The film ‘Forest Gump’ has the main character sitting at a bus stop and telling his whole candid life to a series of passing strangers. It’s part of the human experience that we sometimes speak more freely and truthfully with people we don’t know than with our closest friends and family. There can be something powerfully insightful about the meeting with a ‘stranger’, as suggested by the Qur’anic verse, ‘‘We made you into nations and tribes, that you may know one another (49:13)’’. 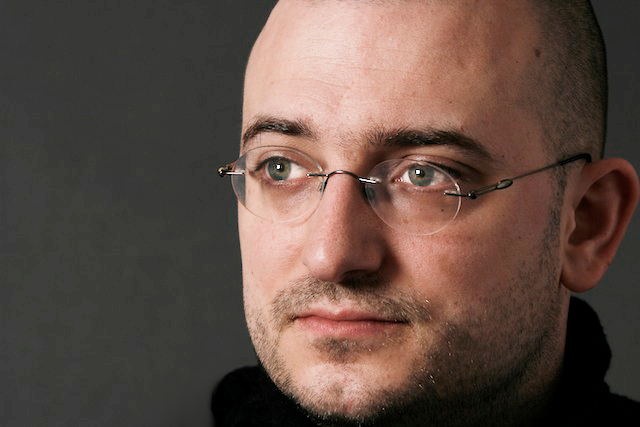 Jonas Yunus Atlas is a Christian theologian embarked on a ‘journey through Islam’, the catalyst for which was a year he spent in Istanbul in 2006. Jonas is by no means a ‘stranger’ to Islam, but the perceptive play between ‘outsider’ and ‘insider’ has come across in his penetrating conversations with diverse Muslim figures, from leading poets and musicians to scholars and imams. 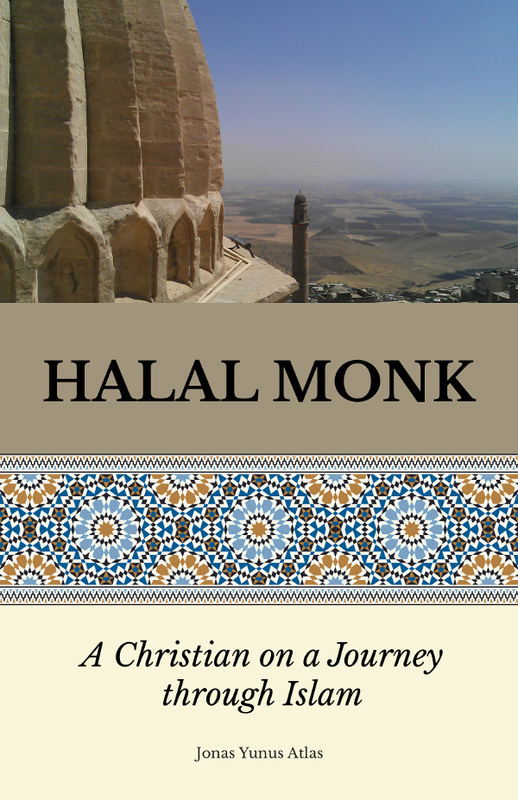 Forming the basis of his Halal Monk project, a website dedicated to encouraging sincere inter-religious debate, the most important of these conversations are collected in his new book ‘Halal Monk: A Christian on a Journey through Islam’ interspersed with explanations of key Islamic concepts. We talked with Jonas, whose sensitive approach to Islam is a sign that seeking knowledge of the world ‘without’ has much to do with discovery of the world ‘within’. Because the ‘lack of exposure’ when I was young could at least give me a reasonable openness while the distorted images the media produces these days – and the false sense of knowledge that often brings along – seems to close people’s minds long before they have a chance to learn the least bit about the history, theology or spirituality of Islam and the Prophet. As a Christian growing up in Belgium, what kind of exposure did you have to Islam and the Prophet Muhammad? Very little to none, actually. When I was young, the only exposure I had to Islam were some text-book explanations in our religious studies classes. It’s estimated that about ten percent of Belgians are Muslims nowadays. That’s mainly due to migration. But the statistics tell us that migrants tend to have more Belgian friends, colleagues and acquaintances then the other way around. So most Belgians don’t know many Muslims, let alone that they’d have a thorough understanding of Islam. And when it comes to the Prophet… well, the vast majority probably has no single idea what Mohammad was truly about. Before I lived in Turkey, I actually wasn’t much different in that respect. However, unlike many others I had a great interest in all world religions ever since I was sixteen. And during my Master’s degree in theology, I expanded my knowledge of Islam considerably. We had some very good professors with a fine grasp of the Islamic tradition. On top of that, I had also read parts of the Qur’an, I knew some poems of Rumi, and so on. But still, looking back now, I realize that my knowledge was still quite superficial. Of course, in those days, Islam wasn’t so much at the forefront of our societal debates. But I’m not sure that makes it better. Because the ‘lack of exposure’ when I was young could at least give me a reasonable openness while the distorted images the media produces these days – and the false sense of knowledge that often brings along – seems to close people’s minds long before they have a chance to learn the least bit about the history, theology or spirituality of Islam and the Prophet. So what was your opening into the teachings of Islam? Because I was interested in a comparative framework of religion long before the current tensions, I had always considered Islam to be one of the great religious traditions of this world. I never doubted that it could be a genuine inspiration for my own faith. Yet, when I was younger, I simply felt more attracted towards Buddhism, Hinduism and Taoism. I would occasionally come across some aspects of Islam, but didn’t delve much deeper into it. I felt a lot of affinity for the wisdom of the Sufi’s for example, but it wasn’t really until I lived in Istanbul for a year (in 2006) that I really started to dig a lot deeper into the many dimensions of the Islamic tradition. What happened when you moved to Istanbul? Living in in this great city on the Bosporus, being among Turkish friends and family, just sipping çay in tea-gardens or visiting places as far apart as Edirne, Konya and Mardin… all of it really immersed me in Turkish culture. There wasn’t any kind of structured plan behind it because it’s simply one of my character traits: when I enter a new kind of world, I mostly try to go as deep as I can. When I came to spend some time in Turkey, this wasn’t any different. I tried to get a hold of all kinds of cultural, spiritual and ritual aspects whenever I could. So I pretty quickly learned Turkish, I tried out all the varieties of food, I listened to its broad spectrum of music and I even familiarized myself with the hugely popular soap operas. And as a theologian I of course also quickly added the religious dimension to my cultural absorption. I read more books about Islam, I talked to newly made friends about their approach to faith, I attended an academic conference on Rumi, I joined traditional events at bayram, etc. On a daily basis I also went to pray in mosques. I always prayed and meditated in my own way, somewhere at the back, but nobody seemed to mind, nor was I ever disturbed. The opposite would also have been quite surprising since I have always felt very welcome in Turkey. And the same is true for other Muslim countries I’ve travelled to. I often felt very ‘embraced’. So it always felt quite natural to acquaint myself with different aspects of their society, culture and tradition. On top of it, the year I resided in Turkey, I started a website that collected and corrected religious news between East and West. Needless to say, the site had a strong focus on Islam. Not just because it was all around me but of course because Islam had become one of the most debated subjects all over the world. I eventually didn’t continue that site for various reasons but intensely following news between East and West obviously taught me quite a lot and perhaps placed the seed of my Halal Monk journey. What surprised you most as you delved into the Islamic world? What eventually surprised me most wasn’t really a particular element of the religion itself. What startled me above all was the way in which Islam had become the global scapegoat for many geopolitical problems. So what got to me at first wasn’t really a particular aspect of Islam but rather the way it had so quickly become the centre of attention in the supposed ‘clash of cultures’. The more I got to know about Islam, the less I saw a clash myself but the more policy makers and media seemed to insist there was one. What are some of the most common misperceptions you find people in the West have about Islam and the Prophet Muhammad? I guess the most common misperception has been around ever since the Ummah stepped into the geo-political dimension of history. For many centuries now, the Christian/Western world has felt threatened by the Islamic world and thus had a tendency to depict the Prophet specifically and Muslims in general as aggressive, violent and blood-thirsty. The current equation between terrorism and Islam therefore amplifies a particular view that has been around for quite a long time. Of course Islamic extremism is a real and painful problem and the Muslim world has certainly known some violence throughout its history but to see this violence as the norm is a sociological and theological absurdity. Every chapter in the Qur’an except one starts with a praise to God as the Immensely Compassionate and Muslims all over the world greet one another by saying ‘peace be with you’. These are but two examples of how peace is in fact the guiding norm of Islam. It goes beyond prejudices, however. The insistent focus on particular aspects of violence is not just a matter of ignorance and doesn’t only serve to demonize the Muslim world. To me, it’s above all some sort of psychological ‘coping strategy’ on a societal level. It makes a whole community of people capable of ignoring its own violence. From the Crusades to the Ku Klux Klan to Christian fanatics bombing abortion clinics, the Christian world has always had its fair share of violence and terror. And so does every secular ideology that ever gained power. But do we demonize atheism because Stalin killed millions of people? Do we say democracy is inherently violent because the only country that ever had the nerve to throw two atomic bombs was a democracy? So yes, Islamic terrorism is a problem but it does not define Islam any more than the holocaust defines Germanic culture or than Hiroshima defines the ‘American way of life’. And the fact that non-Muslims in the West often do make such a logical fallacy when it comes to Islam, does not just stem from a simple lack of knowledge about ‘the other’. It’s not just a matter of fearing an unknown culture ‘out there’. What we also see at work here is a socio-psychological projection of the unacknowledged fear of the darkness ‘within’. The insistent focus on particular aspects of violence is not just a matter of ignorance and doesn’t only serve to demonize the Muslim world. To me, it’s above all some sort of psychological ‘coping strategy’ on a societal level. It makes a whole community of people capable of ignoring its own violence... What we also see at work here is a socio-psychological projection of the unacknowledged fear of the darkness ‘within’. Of course, this isn’t a specific ‘Western’ pattern. You can see it within all sorts of communities. You can most certainly see it among radical Islamist groups as well. Whatever tradition or culture people belong to, humans simply never have been very good at acknowledging the destructive patterns that lurk within themselves. If you had to present Islam and the Prophet Muhammad to a non-Muslim from a modern, secular country, which aspects would you choose to stress? When I talk about the Prophet, I mostly stress the manner in which he was predisposed to peace and dialogue. The treaty of Hudaybiyyah is a perfect story to illustrate the fact that the Prophet preferred peace and diplomacy over violence. Of course, more than many other prophets, Muhammad had to deal with several moments of violence so we can’t portray him as a pacifist. At times, he was the leader of an army or the judge of those who had fought against his community. But once you research the history and get a bit deeper into the nuances and details, you can easily see how he always tried to restrict the violence as much as he could. In contrast, some critics often refer to the fate of the Jewish Banu Qurayza tribe. Many of its men were killed and its women enslaved. This event would clearly show the Prophet’s harshness. But even in that case a deeper look brings a different understanding. Firstly, what they fail to mention is that the Banu Qurayza had committed treason. The tribe had made a pact with the Prophet and then turned against him during a time of conflict. Today in a country like the US, acts of high treason are just as well punishable by death sentence. Secondly, Muhammad eventually left the decision of their punishment in the hands of another Jewish tribe. This tribe based its verdict on Jewish customs and laws. And lastly, we need to keep in mind that many other Jewish tribes that fought against the Muslims without making a prior pact were actually spared by the Prophet himself once they were defeated. These examples seem to concern the Prophet as a historical figure. But what’s something you think people can connect with their own lives? Mecca was a trade center where merchants from all over the world came and went, day in, day out. Materialism and consumerism were at a peak. The desire to be rich often blocked the quest for enlightenment. This of course shows some quite remarkable comparisons with our own time and society. And it’s interesting to see how Muhammad took another course. The revelation he received called for spiritual ‘readjustment’ when the majority of people around him got spiritually lost in the jumble of religion and consumption that was prevalent in the Meccan society of those days. We can therefore find several verses in the Qur’an that react against the decadence of Muhammad's time, against the flaunting of wealth and against the inconsiderate life in Mecca. Such an aspect of the Prophet’s life and the Qur’an often resonates quite well with non-Muslim audiences since a discontent with overly materialistic lifestyles is growing in many parts of the world. What are some of the most common misperceptions you have found Muslims have about Christianity? All in all, I would say that Muslims simply know very little about Christianity. I could refer to theological discussions on concepts like the Trinity and explain how Muslims tend to wrongly perceive the Father-Son-Spirit relationship as a suggestion that Christians believe in three Gods. I could then easily dispel the misunderstandings that are at work here, but, in the end, such matters are of little relevance today. Far more relevant are the misperceptions about the cultural sphere of the Christian West in general because Muslims tend to think that the contemporary Western world is largely unreligious or unspiritual, for example. But this is not the case. It’s quite understandable that the Muslim world would view much of the Western world as a society that is purely based on the hedonism of the individual and that has pushed all ethics and religion out of the public sphere. From the French insistence on laicité to the blind market capitalism of Wall Street, Western society has often eagerly presented itself that way. But whatever its (re)presentations, the Western world is actually full of people engaged in some sort of spirituality or religion. They might sometimes have issues with specific concepts or structures from the religious traditions of their forefathers, but quite a lot of people are dealing with spiritual issues one way or another. So the search for meaning and depth is quite palpable in large parts of Western society. Whether that search leads people on an explicitly religious path is a different matter, but that’s also of less concern, for one thing is certain: in the end, there is a thirst for ‘soul’. It’s quite understandable that the Muslim world would view much of the Western world as a society that is purely based on the hedonism of the individual and that has pushed all ethics and religion out of the public sphere. From the French insistence on laicité to the blind market capitalism of Wall Street, Western society has often eagerly presented itself that way. But whatever its (re)presentations, the Western world is actually full of people engaged in some sort of spirituality or religion. By stereotyping the West as immoral, is the Muslim world turning a blind eye to this aspect within its own culture? There is a tendency to project materialism and hedonism on the West while most societies have, by now, become quite similar. Although certain traditions remain quite stubborn in places like China and India, anyone travelling there will easily see they’re filled to the nook with bloated capitalism and consumption frenzy. In the Muslim world one only has to look at some pictures of Dubai to see the same thing. The Gulf region pretends to be more ‘orthodox’ or ‘traditionally Islamic’ but the flaunting of wealth, the megalomania of the building projects and the immensity of the shopping malls completely contradict the modesty of the Prophet. What I find one of the most shivering images in this respect is the view of the huge luxurious hotels that rose up behind the Kaaba, effectively placing this essential Islamic point of reference in the shadow of blatant commerce. Can you give us an insight from your new book that helps us think about Islam? One of the topics that constantly returned in the conversations with the various scholars, activists, punkers and poets from all over the Muslim world, was the need to go beyond the reductive dichotomies. Each of them explained, in their own way, how dualisms like democracy vs. Islam, science vs. religion or modern freedom vs. suppressive tradition make little sense and distort the whole discussion. Islam isn’t opposed to democracy; science and criticism have always been an aspect of its tradition; and Islamic spirituality still offers many people the energy to struggle against oppression and injustice. So I hope the book makes it amply clear that we have to redefine the parameters of the debates if we want to get out of the current tensions. I hope it shows that we urgently need to start discussing what is truly at stake: What place will spirituality and mysticism have in our future world? What will our relation with nature be in an ever more materialistic world? How will we allow cultural diversity within a global humanity? These are the real questions of deeper debates that often aren’t properly addressed. The real tension isn’t Islam vs. the West. It’s all of us against the dehumanizing and destructive tensions in any ideology, religion, economy, culture or geo-politics. Please type '480' into this field. Jonas Yunus Atlas is a unique voice spanning the Muslim-Christian divide. May many others follow his irenic path.